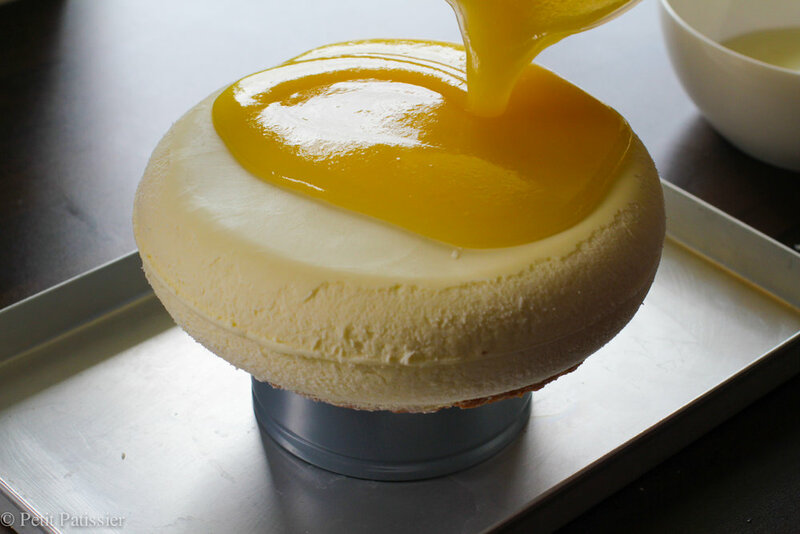 An entremet is a multi-layered mousse-based cake with various complementary flavors and varying textural contrasts. 1. 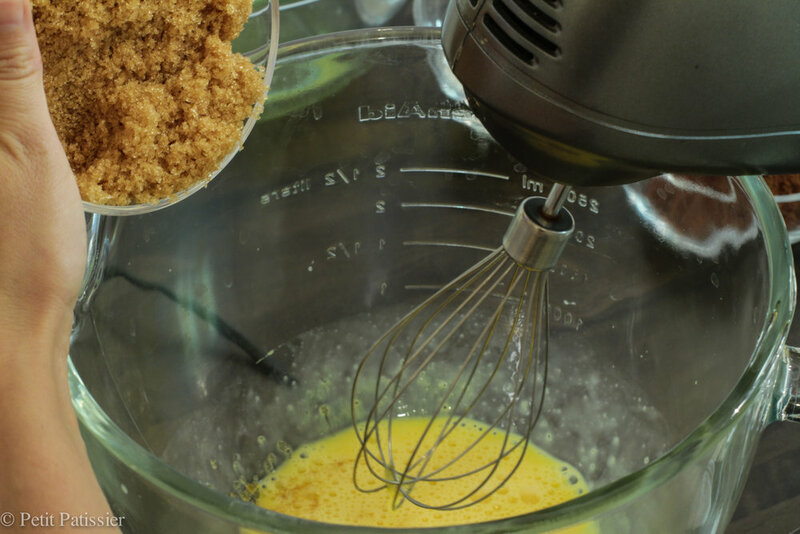 Mix together shredded coconut, brown sugar, salt and flour. 2. Add to the mixture room temperature butter. 3. Knead the mixture together until it formed a dough. 4. Rest in the fridge for about 2 hrs. 5. 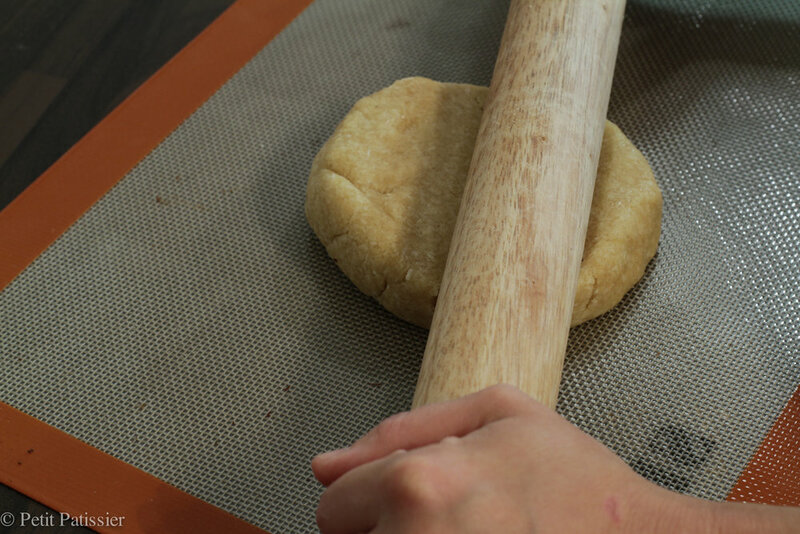 Roll out the dough on lightly floured surface to a thickness of about 3-4mm. 6. Bake in pre-heated oven at 150C for about 8-10 minutes or until golden brown. 7. 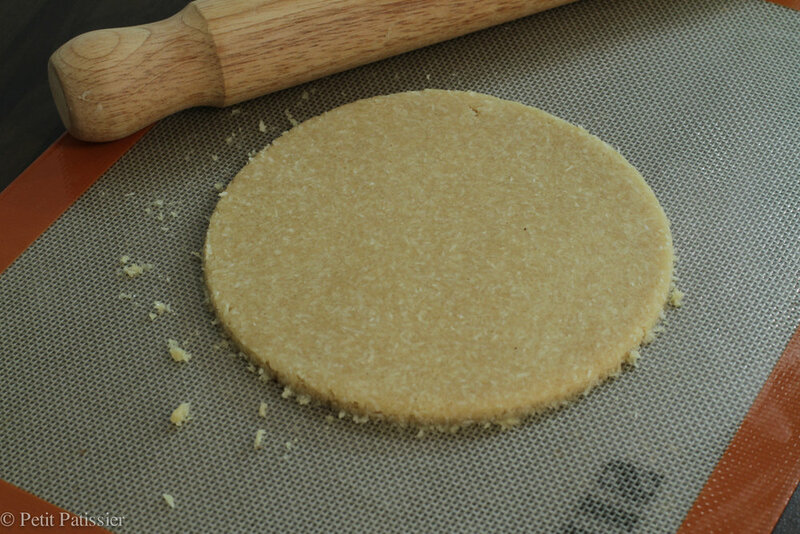 When is baked, cut immediately to make round shape using 16cm cutter and leave to cool. 8. 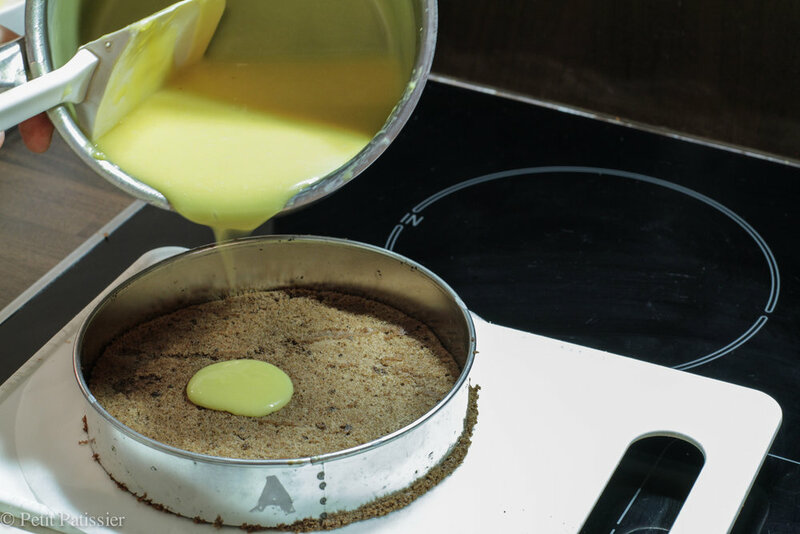 Once cooled, brush top of cookie base with melted white chocolate to seal the crispy texture. 1. Beat the egg yolks, eggs and brown sugar until pale. 2. 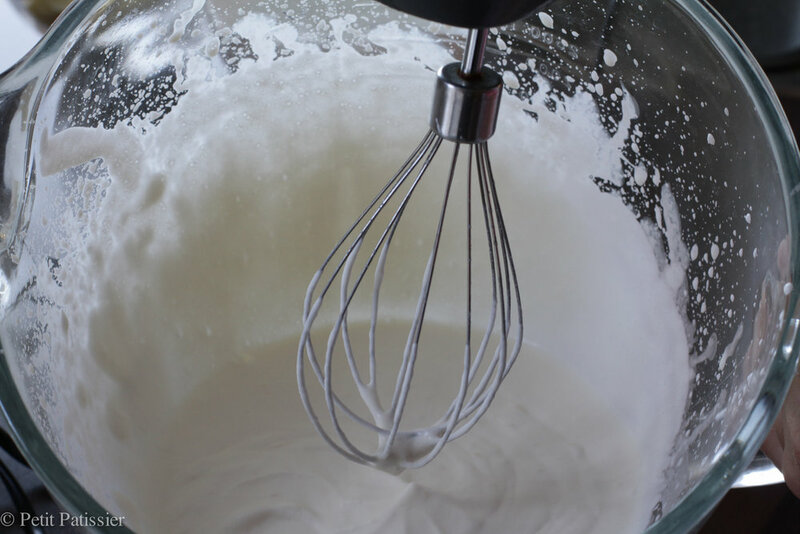 In a different bowl whip the egg whites and caster sugar to ribbon consistency. 3. Fold the egg yolks mixture to the egg whites mixture. 4. Mix together flour and cacao powder. 5. 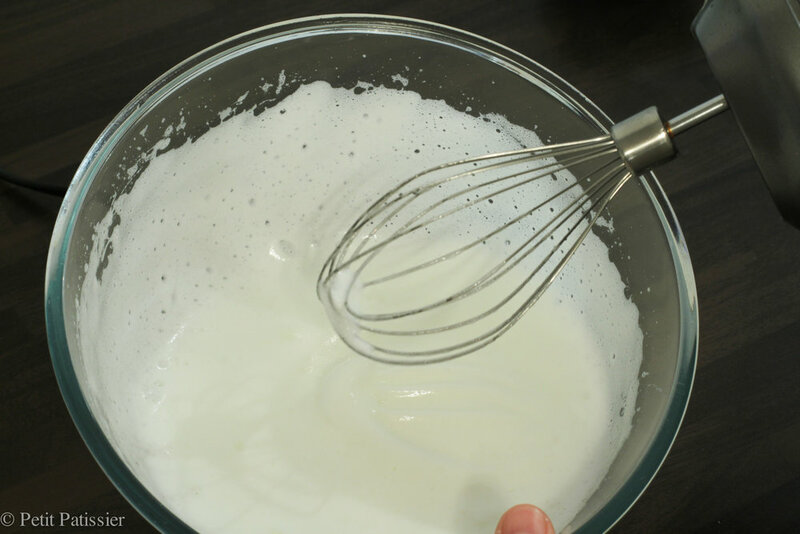 Fold dry ingredients to the egg's mixture. 6. 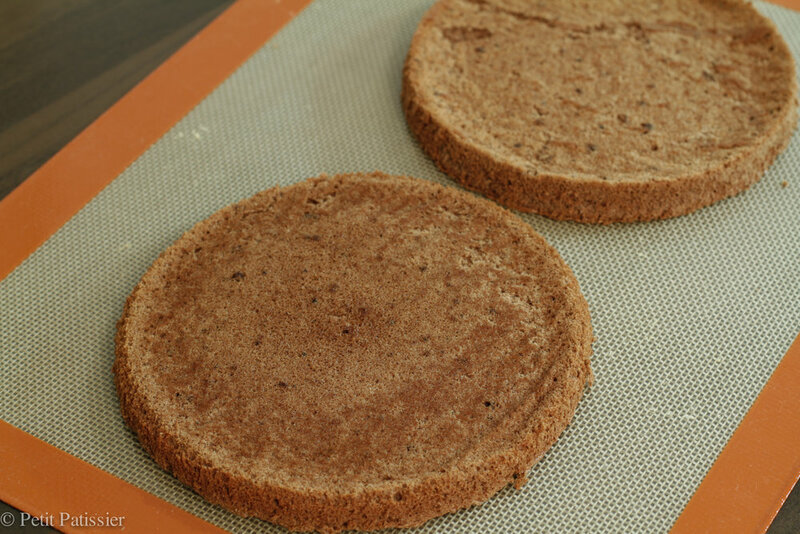 Divide batter into the two baking rings and bake in pre-heated oven at Fan 180C for about 8-10 minutes or until the top of sponge springs back to the touch. 7. Once sponges are baked leave them to cool. 1. Heat the both purees, rum and sugar to 80C. 2. 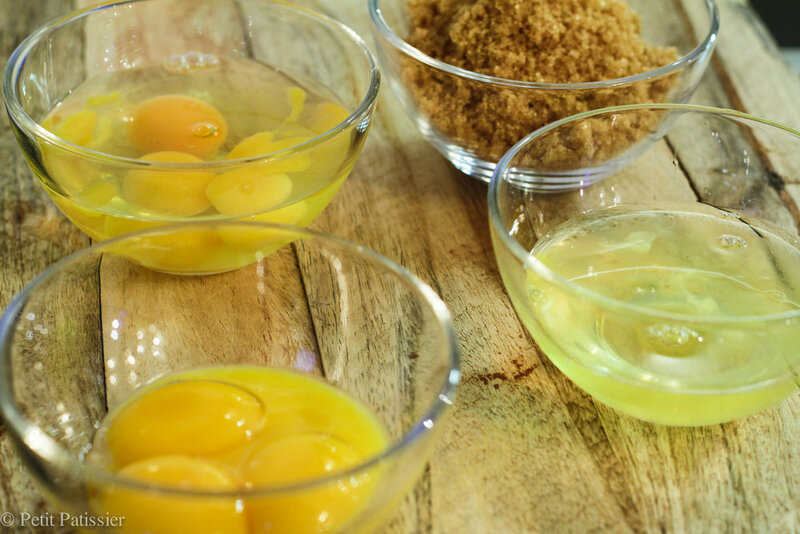 Mix egg yolks and eggs together. 3. 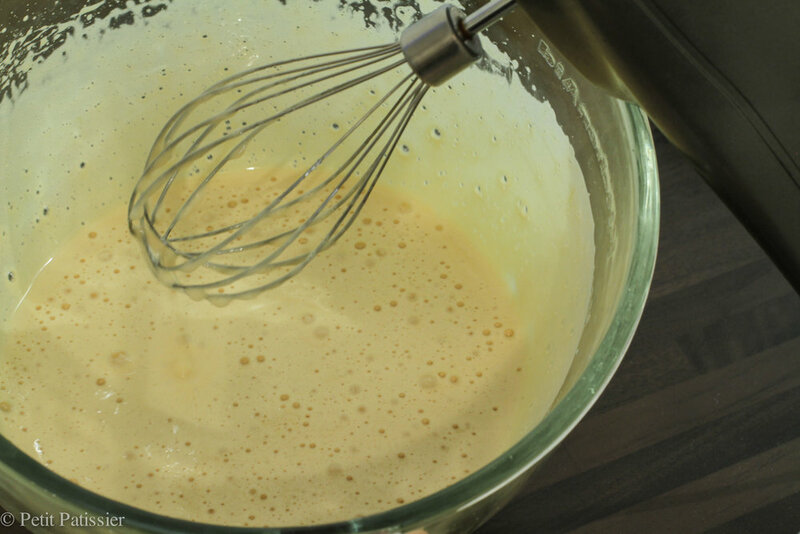 To make creme anglaise pour liquid over the egg mixture and cook until mixture will reach 84C continuously stirring. 4. 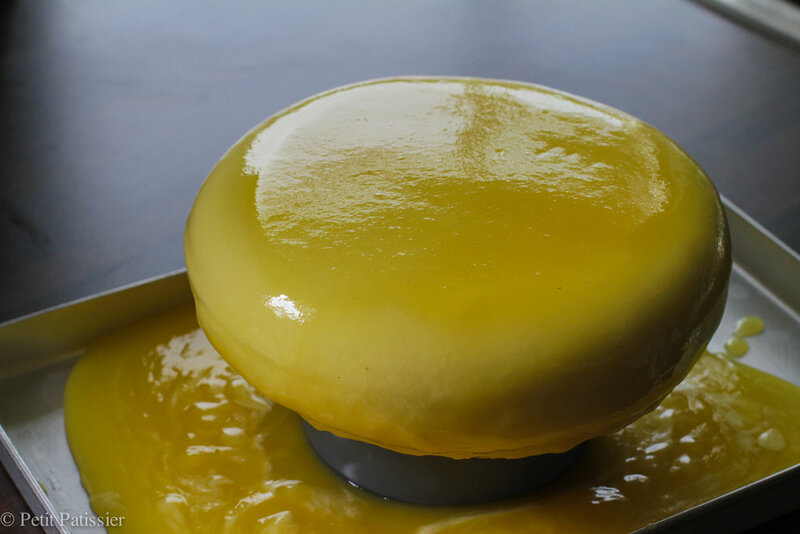 Dissolve pre-soaked gelatine sheets in creme anglaise. 5. Keep mixture to cool until 35C after add the butter and use blender to emulsify. 6. 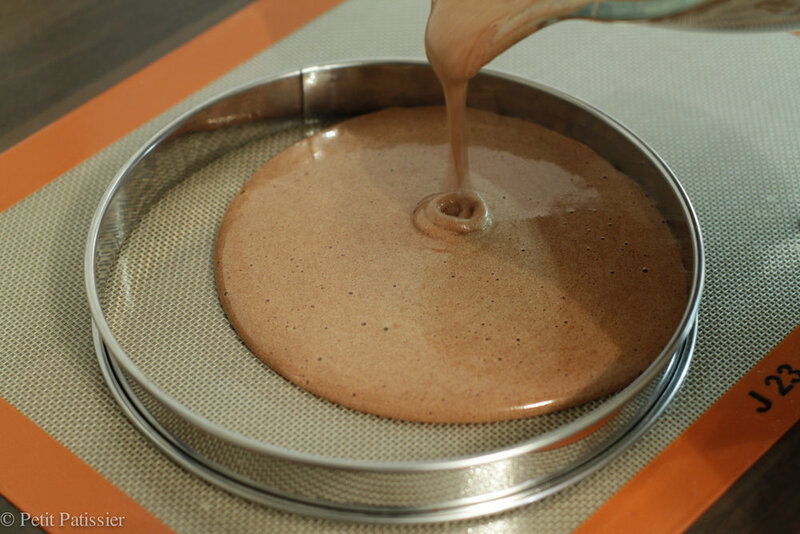 Pour equal amount of cremeux into the round moulds over the chocolate sponges. 7. Put them in the freezer till completely frozen. 8. When they are frozen start to make coconut mousse. 1. 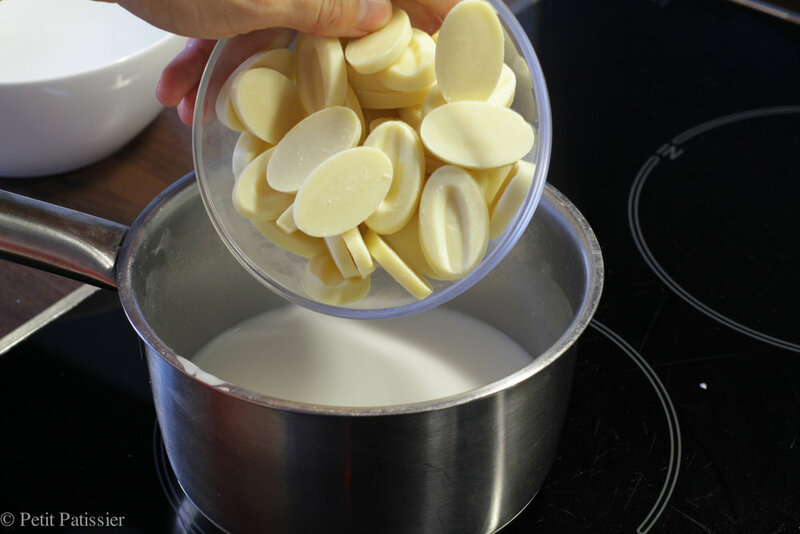 Mix together melted white chocolate and warm coconut puree till mixture is incorporated. Heat a small amount of mixture to dissolve pre-soaked gelatine sheets and finally incorporate the rest of the white chocolate and coconut mixture. Cool mixture to around 25C. 2. Whip cream into the soft peak. 3. Fold cooled white chocolate and coconut mixture to the cream. 1. Bring pineapple coulis, sugar and water to the boil. 2. In a small bowl mix together corn flour and 50g of cold water. 3. Add corn flour mixture to the pineapple mixture stirring continuously and bring again to the boil and cook for a few minutes. 4. Dissolve pre-soaked gelatine in to the pineapple mixture, stir well. 5. Strain glasage through the sieve to separate out any lumps. 6. Leave to cool , once glasage will reach 30C is ready for glazing. 1. Arrange silicone mold Eclipse Shape or any round shape mold with volume 1ltr and using a piping bag pour a 150g of coconut mousse. 2. On top of the mousse place the frozen pineapple & coconut cremeux and chocolate sponge disk. 3. 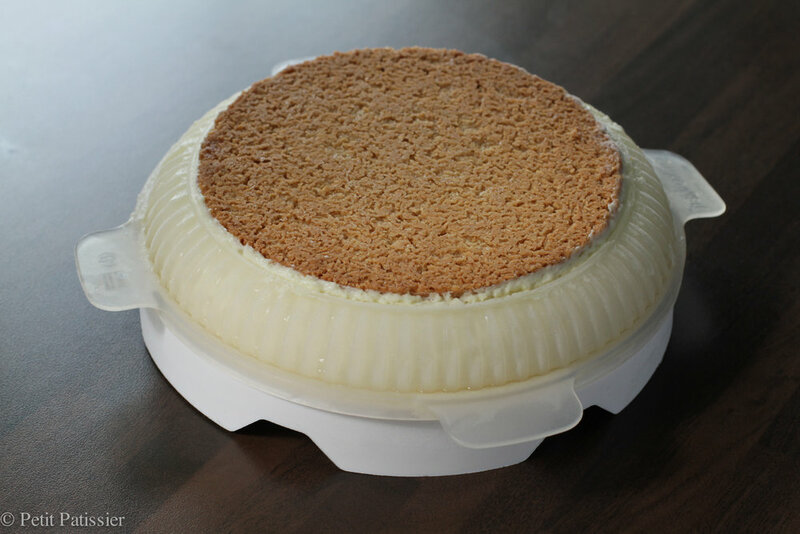 Pour a second layer of coconut mousse and place another pineapple & coconut cremeux and chocolate sponge disk. 4. 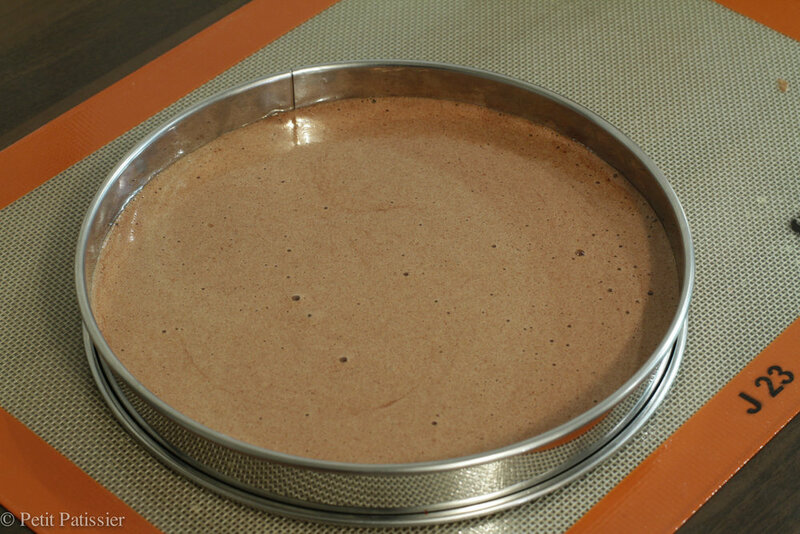 Finish with the remaining mousse. 5. Seal with the crispy coconut cookie. 6. Put mould in the freezer till completely frozen. 7. 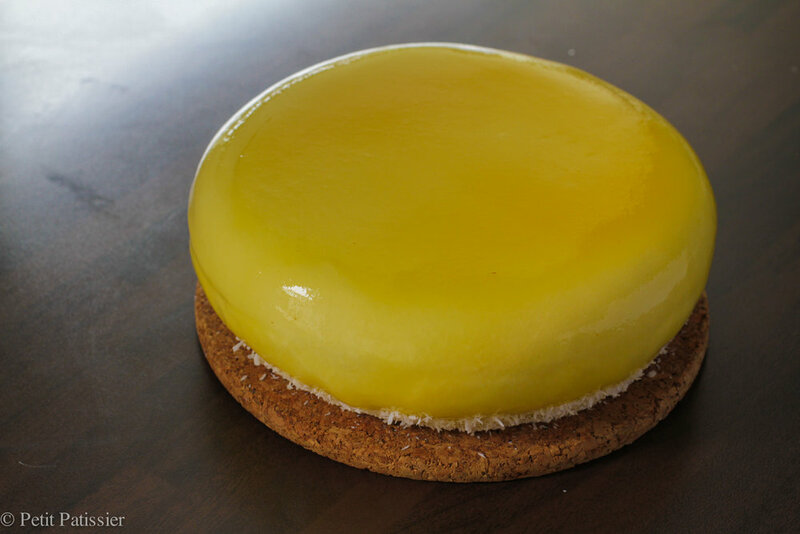 When cake is completely frozen unmold the cake and cover with the pineapple glasage. 8. Keep in the fridge for a couple of hours to defrost.